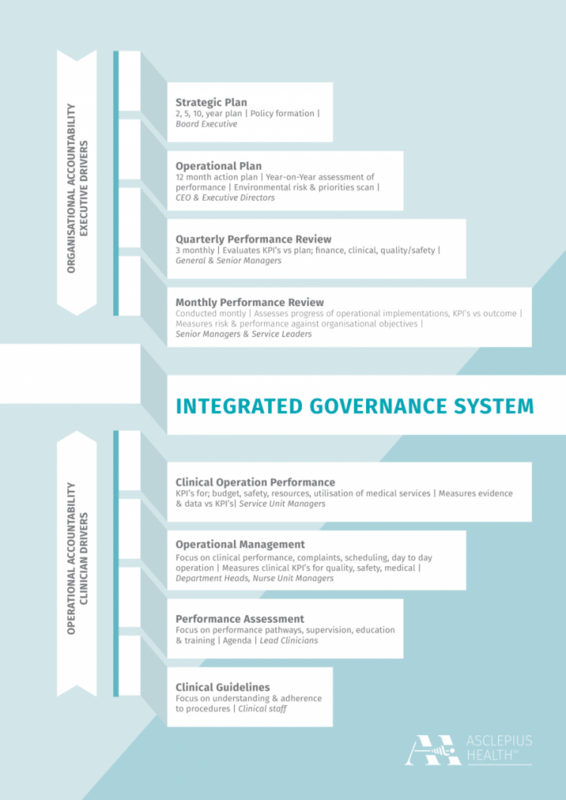 The Asclepius Health Integrated Governance Program offers an alternative to cost-driven and complex leadership reforms. 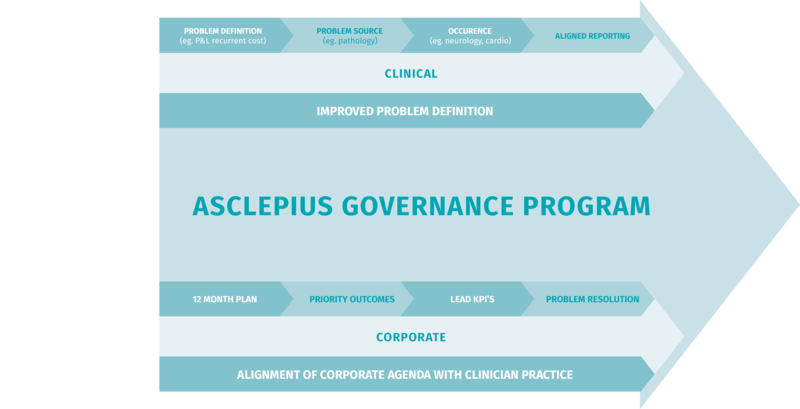 Asclepius Health™ enhances leadership capability, empowers all levels of staff through an alignment of organisational goals and accountability, and achieves a budgetary return which can be reinvested where it truly counts – an improved Health Care system. Focused on enhancing core patient care and safety metrics. This program is unique in it alignment of all the drivers for organisational success. It places equal attention to the needs of the business for efficiency and cost containment, without losing the core value of the system in maximising health care delivery, thus enabling the clinicians to operate to the highest standards of practice. It is supported by a consistent measurement structure and a professional development platform that further enhances the potential of all staff to confidently operate with true accountability and best practice. Find out the value this program can offer your organisation and its people.